You can lose weight in middle age by choosing lean protein, complex carbohydrates and more. The Department of Endocrinology at Singapore General Hospital shares how.  Quality proteins help support muscle regeneration. Dr Sonali​ Ganguly​, Consultant at the Department of Endocrinology, Singapore General Hospital (SGH), a member of the SingHe​alth group shares 3 tips on how to lose weight in middle age. Try eating more lean protein and good fats such as polyunsaturated fats (essential fatty acids) and monounsaturated fats to improve the hormonal balance and stimulate the body’s metabolism. The essential fatty acids omega-3 and omega-6 are found in oily fish (tuna, salmon, mackerel), wheat germ and seeds such as flaxseeds and nuts. Monounsaturated fats are found in olive and sesame oils. 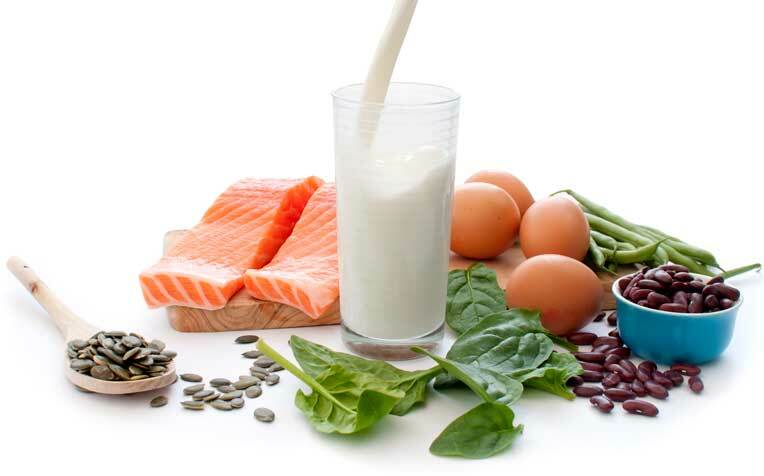 Eating enough quality proteins, such as those found in meat, eggs, tofu, beans, pulses and fish, supports muscle regeneration. Insulin resistance is another reason why people put on belly fat in middle age. Insulin is a hormone that regulates the body’s metabolism. However, bad eating habits (such as overeating of refined carbohydrates for instance) and excess weight can cause the body’s insulin to become less effective. This condition, called insulin resistance, leads in turn to excess glucose in the body, which is stored as fat. Adopting a healthier diet rich in complex carbohydrates such as whole grains, legumes and vegetables will keep your blood sugar levels in check. Experts recommend 30 minutes of brisk walking four to five times a week and twice-weekly strength training to arrest declining metabolic rates. Ten minutes of toning exercises three times a day, plus a weekly aerobic exercise session can also help you lose belly fat. “Excess body fat poses serious health consequences. Type 2 diabetes, high blood pressure, and heart problems are all correlated to being overweight,” says Dr Ganguly. Need help adopting a better lifestyle? The LIFE Centre​ at Singapore Ge​​neral Hospital​ (SGH) has a multidisciplinary team of experts who can provide you with guidance on weight management, exercise and diet.